Ballet pumps: they're versatile, comfortable and they go with just about anything. You can wear them with a pair of jeans for a nonchalant look, or you can combine them with a dress and look all classy! However, even though they can be really comfortable, I'm often having a lot of trouble finding a pair that fits me well. I get blisters very easily, so I often feel like the Little Mermaid: every step I take hurts! And I haven't even got a Prince to console me and kiss my booboo. When it comes to clothing and shoes I'm also a lot like the Princess who couldn't sleep because of a tiny pea under the mattress. I feel every little thing! And it's uncomfortable. But this week I lucked out. I was minding my own business, browsing a shoe store, when I spotted these black ballet pumps. I put them on and behold! They felt really pleasant! So I had no choice. I had to buy them. They were even quite cheap. Only 24 euros. 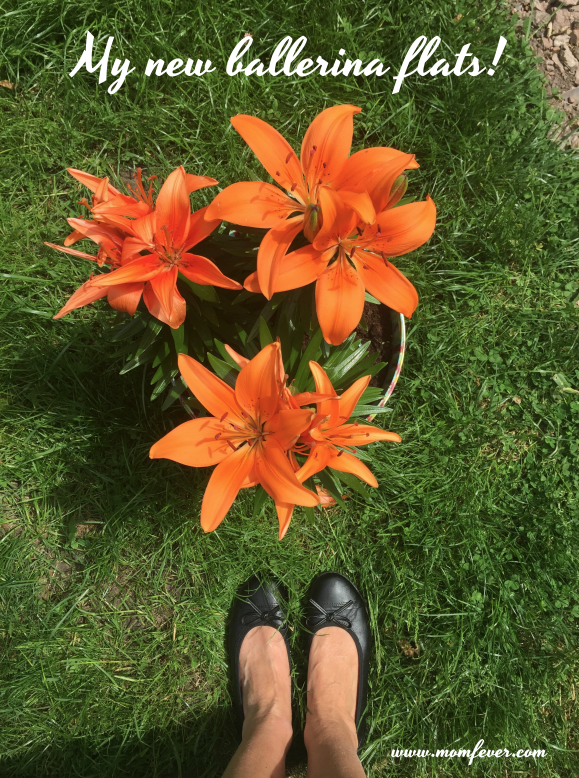 How do you feel about ballet flats? I do love ballet flats, they are so comfortable and versatile. Yours look beautiful! Thank you so much for sharing this post, and for being a part of the Hearth and Soul Link Party.